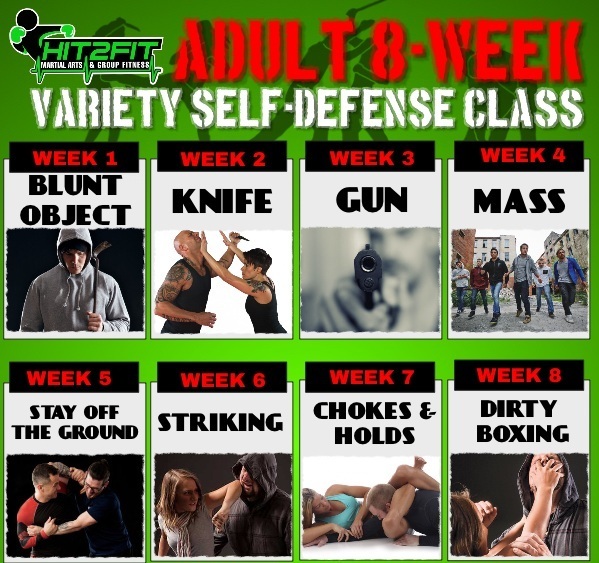 This FREE seminar will be Week 1 of an 8-Week themed Self-Defense & safety class. Each week the class will cover a specific situation and scenario for 1 hour, 1 time per week every Saturday. Students will be hands on learning, practicing, and applying all different defense and offense tactics. Students will also learn situational awareness, how to successfully use and disarm various weapons, and life-saving self-defense. Space is limited!! At the door Pricing AFTER MAY 18: $25 per theme with option to buy remaining themes. Do you want to be learn self-defense at the highest level? We have the program for you! Be prepared for any situation you might encounter day in and day out. Learn movements and tactics for real-life, self-defense scenarios. Knowledge, repetition and situational awareness are key if someone comes at you with a gun, a knife or blunt object attacks. Actively participate in various weapons disarmament and training techniques. Hit2live will save your family, your spouse, or your life one day! Be aware and be prepared! Seminars are specialized availability. On occasion Guest speakers, trainers and experts from various mma and fitness will be present.